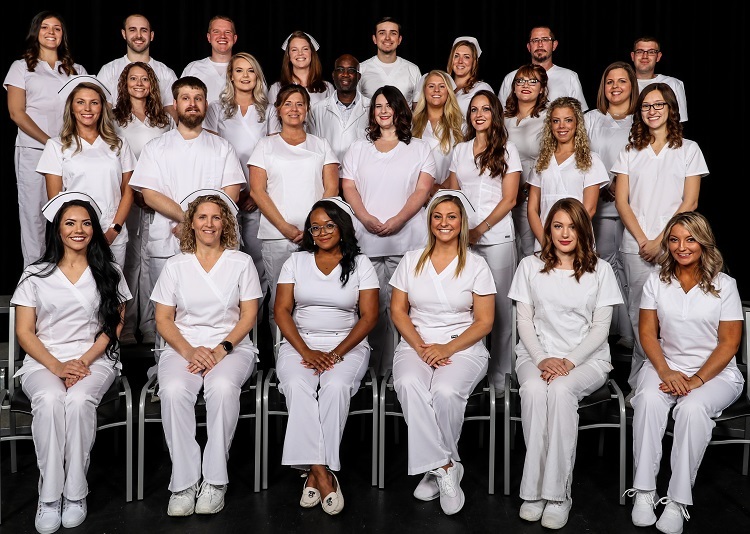 Motlow State Community College recently held a Pinning Ceremony recognizing the 2018 Nursing Class graduates. Seated from left, Motlow Smyrna campus graduates Amanda Eatherly, Yvonne Warner, Tori Olive, Hannah Rudd, Chelsea Mott, Kristy Buchanan. Second row from left, Stefanie Jones, Mark Howell, Kedree-Lynn Marsh, Jennifer Cole, Ashley Donaldson, Chelsie Augustin, and Marissa Thompson. Third row from left, Suzanne Fancher, Kaitlyn Atkins, Adedotun Fapetu, Courtney Harmon, Erin Flanagan, and Catherine LaRocque. Fourth row from left, Joy Chambliss, Aaron Mathis, Bryon Goodman, Rachael Cunningham, Penn Moore, Rosalyn Higgins, Eric Brown, and Paul Incorvia.